Mademoiselle Danse has selected for you beautiful dance tee-shirts for your classical, jazz, contemporary dance wear or for yoga! 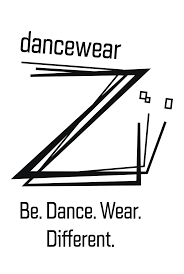 The dance tee-shirt can be of different colors, and different shapes (short sleeves, long sleeves, wide, fitted, etc.). Among the brands offered by Mademoiselle Danse, you will find easily the t-shirt that will harmonize with your outfit. For the classical dance, the transparent tee-shirt is very pretty and brings lightness to the outfit while concealing the imperfections. For others disciplines, the choice of the tee-shirt is totally free, you can have fun having different models. In different colors, they can also be put on as an everyday outfit! Find all our women's dance t-shirts on our website Mademoiselle Danse.